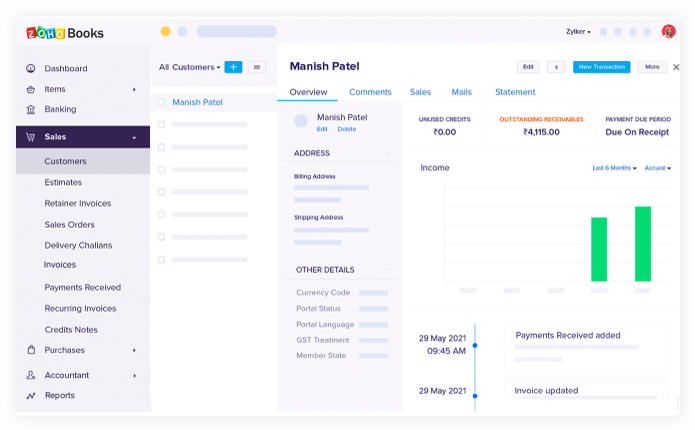 Zoho Books is online accounting software that manages your finances, keeps you GST compliant, automates business workflows, and helps you work collectively across departments. 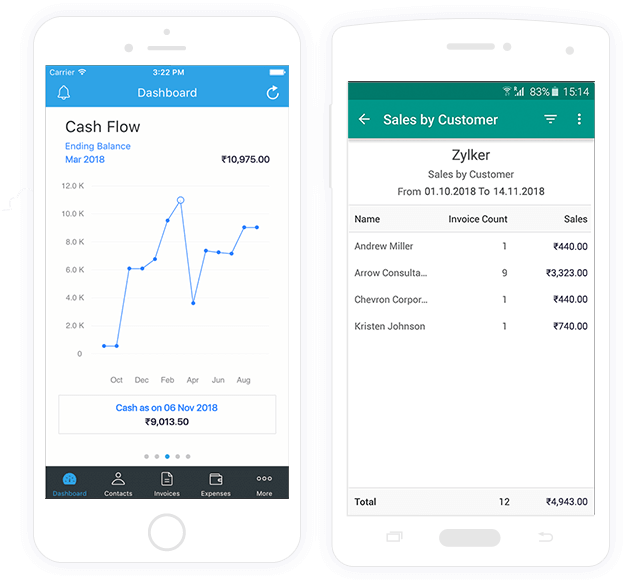 Right from negotiating deals to raising sales orders and invoicing, Zoho Books handles mundane accounting tasks so you can focus on your business. Create GST invoices, know your tax liability, and file your tax returns directly. Zoho Books keeps your business GST compliant. 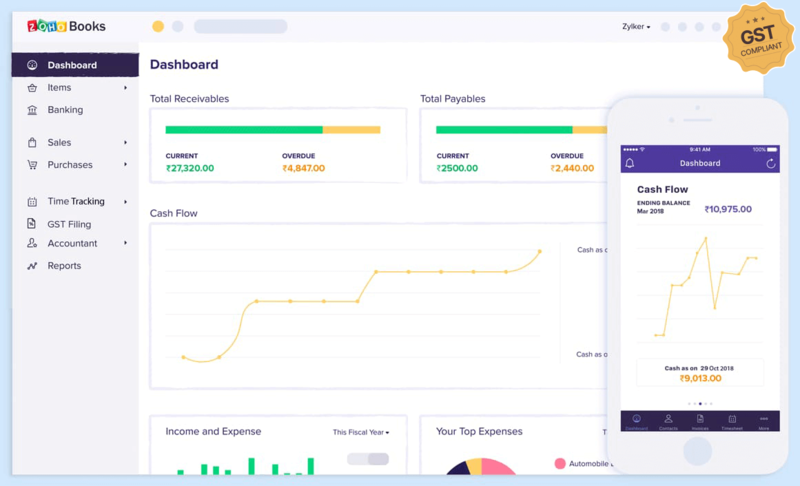 As your business grows, add more of Zoho's 40+ apps to help you manage and run every aspect of your business from wherever you are. 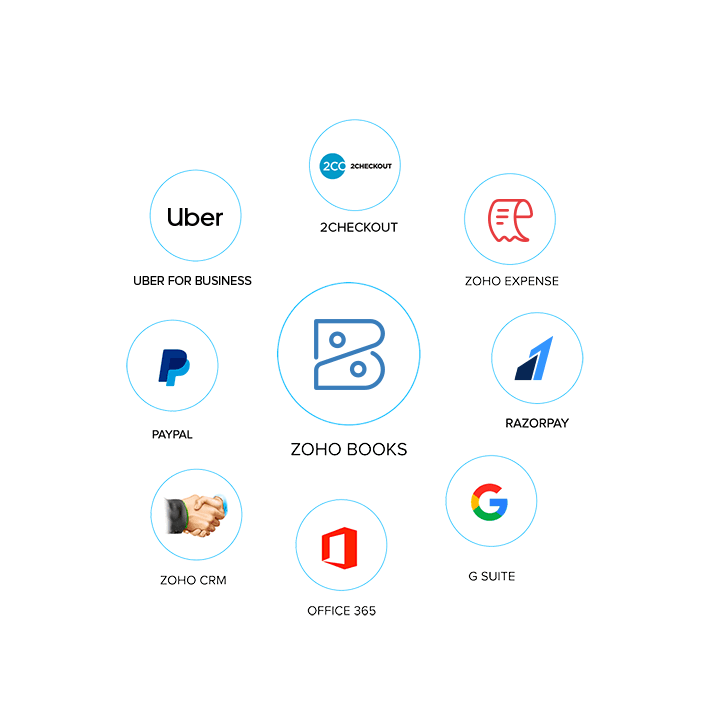 Keep the money coming in with Zoho Books. Send estimates, convert to invoices, and get paid online, on time. Stay on top of your payables and know where your money is going. 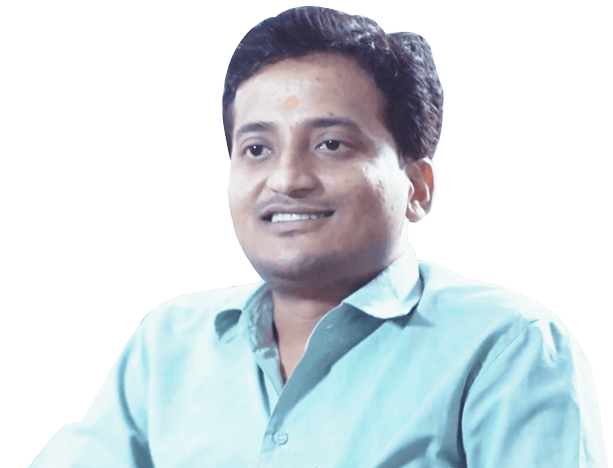 From vendor bills to expenses, Zoho Books makes managing payables easy. 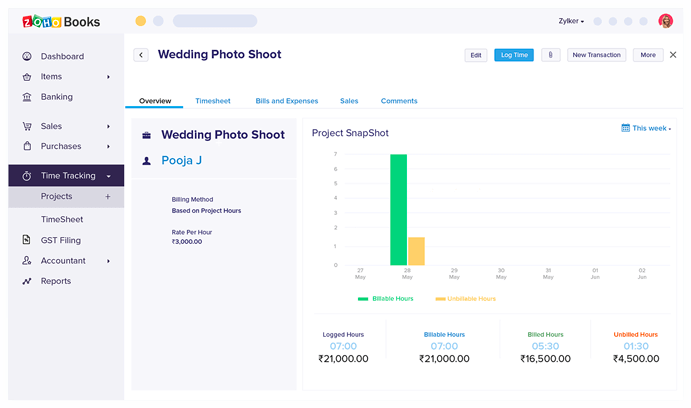 Capture the goods and services you offer and quickly add them to your transactions. Become an Amazon seller and enjoy special catalogue services for free. Know more here. 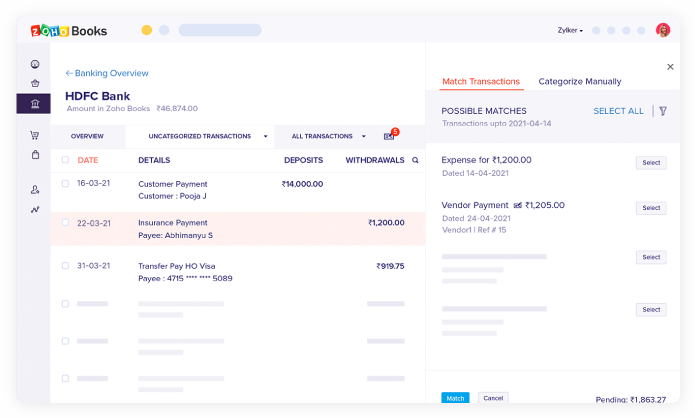 Set up your bank account and automatically import your transactions to your accounting software. Get all your contacts in one place for easy communication. 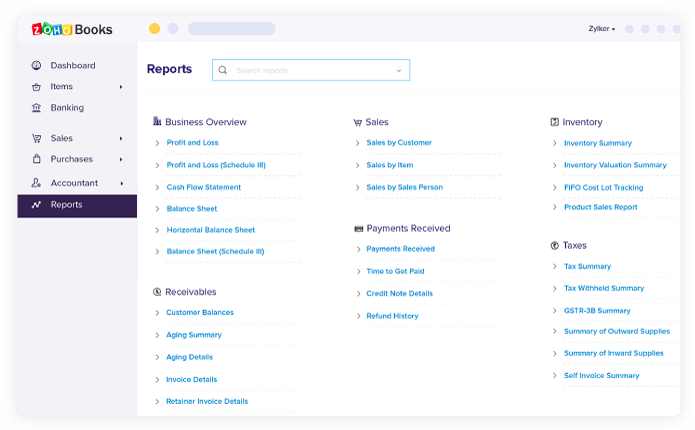 Zoho Books supports 50+ business reports to help you get better insight into your business health. 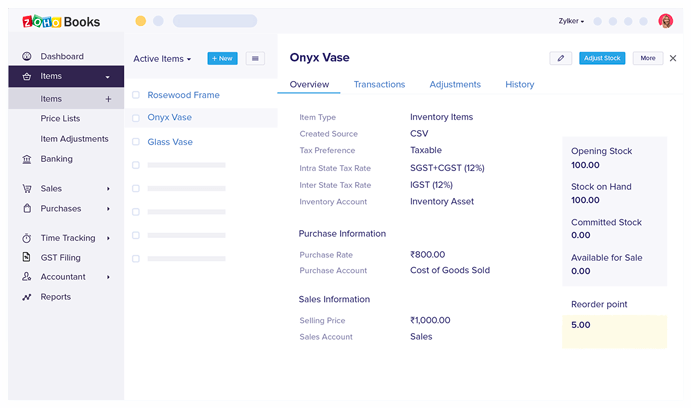 From Profit and Loss statements and Inventory Summary reports to GST reports, Zoho Books offers all the reports required to run your business smoothly. Zoho Books lets you associate HSN/SAC codes with your goods and services and record the GSTINs for contacts at the time of creation. The next time you generate a transaction, the corresponding information is auto-populated. Get a grip on your taxes with Zoho Books. 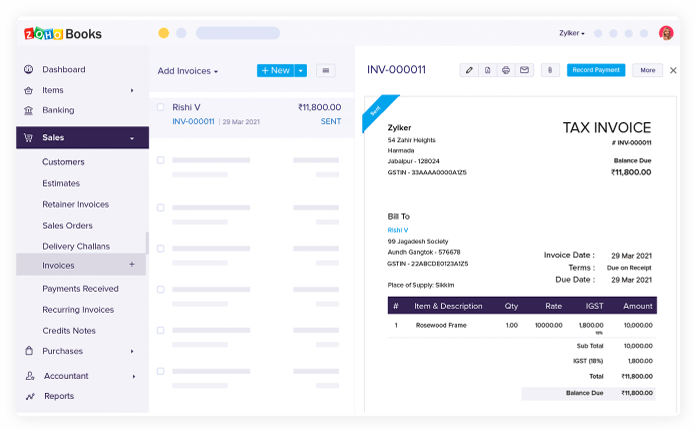 From place of supply to GST levied on goods and services, display all relevant details in your bills and invoices so your transactions meet the Government mandates. Create e-Way bills from within your accounting software. 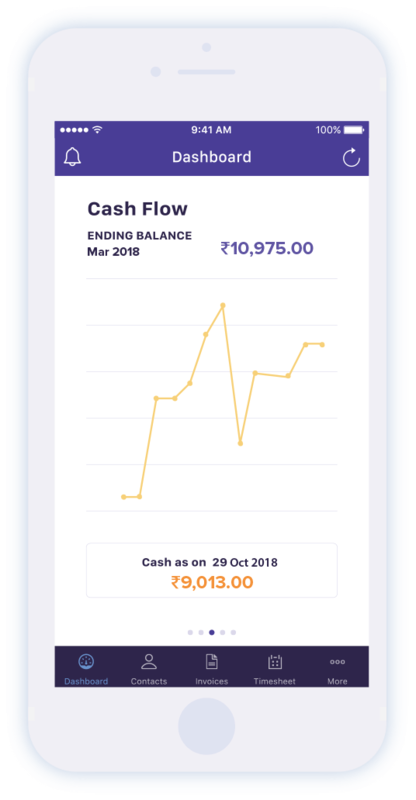 Zoho Books automatically detects transactions that require e-Way bills and helps you capture the e-Way bill information in your invoices and transport copies. File your GST returns directly from Zoho Books. 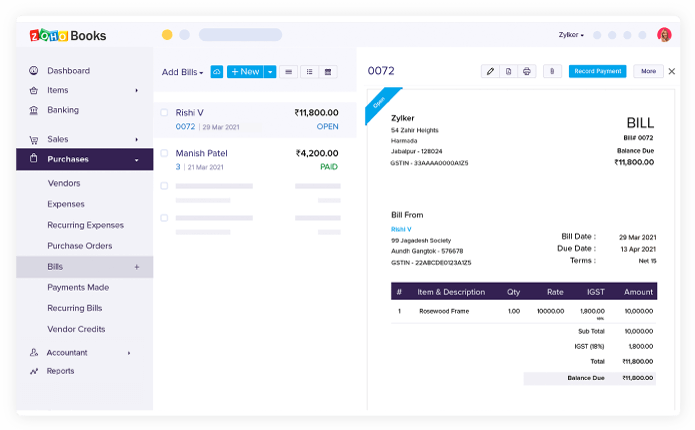 Your accounting software will automatically calculate your GST liability and enable you to push transactions to the GST portal and file returns directly.